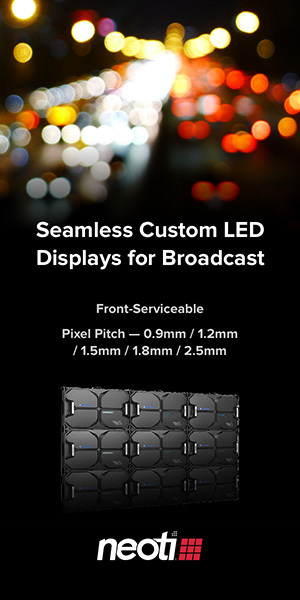 Along with a host of product updates and announcements during its annual NAB Show press conference, ChyronHego also showed off its new direction forward in the broadcast and sports graphics space. Focusing on visualizing live data to inform and entertain, ChyronHego sees live data and its integration with technology such as augmented reality and in-stadium production as its guiding strategy. A big part of this direction is focused around enhancing realism and quality in virtual production, such as through the use of the Unreal Engine. Through ChyronHego’s newly announced Fresh product, users will have a 100% Unreal-driven solution that is fully built into the Camio universe. Using only one rendering engine, the product aims to streamline a common complaint among graphics producers while also integrating a complete primitive library. Fully integrated with UE4, the Fresh solution brings the objects, including text, straight into the game engine without having to re-render. “There are similar solutions out there. A lot of people are embracing these gaming engines, but all of them have this two rendering engine approach, where the gaming engine is a bit of an add on. That’s not going to be the solution,” said Jesper Gawell, ChyonHego’s CMO. On the sports production side, ChyronHego is noticing more traditional TV technology and data visualization coming to in-venue production. Items such as virtual first-down markers, better replays and even HDR are highlighting shifts that aim to recreate the home viewing experience for fans. Lopez also sees a large opportunity in the rapidly expanding sports betting market as more networks continue to add programming on the topic and as new venue opportunities arise.